PEDS Frequently Asked Questions - Five-G Consulting, Inc.
Will I be able to build my facility from the PEDS drawings? There are many General Contractors that are familiar with dairy construction and thus able to construct the facility from the Five-G PEDS drawing package. However, if your General Contractor does not have dairy construction experience, additional drawings will likely be required. Five-G can provide these additional drawings, but they are not included in the scope of the PEDS service. I have a couple of construction sites selected, can Five-G help determine the best location for my facility? Many customers already have the site selected and Five-G helps them orient and locate the site so that it best fits the site. However, we can help identify the Pros and Cons of different sites as long as the site visits will fit into the PEDS visit process. Is the cost of the PEDS service worth it? Many times owners choose to skip the engineering and design step of an outside professional. However, once the facilities are constructed, though they are fully operational, they are not as efficient as they could or should be. We also see projects where the facility is essentially a disaster, exhibiting all forms of inefficiencies and even worse, danger to the animals. This question is ultimately up to the owner to decide, but consider this; is saving the small cost of the PEDS worth the unrealized milk production and potential maintenance/operational costs from a faulty design over the span of the lifetime of the facility? Overall, the PEDS service offers the owner a “peace of mind” that an expert is involved in the design process and we are confident in saying that we can save you the cost of the PEDS before construction is realized. Why should I sign up for the PEDS? If you are planning a new dairy project or expansion project, you need the PEDS. This package serves as the Master Plan for your project. As the old saying goes, “if you don’t know where you are going, you will probably end up somewhere else” or other than where you want to be. No matter who performs construction or supplies equipment, you need a basis for all parties to work from. Let Five-G help you establish the roadmap to the modern, efficient, sustainable dairy facility you envision. Are drawings all that are included in the PEDS package? Absolutely not! Though many customers are focused on the drawings, the package will also include a document approximately 60 pages in length. This document will have tables, spreadsheets and sample pictures of the main design features and describe the design for the Owner’s group and key decision makers/enablers. What drawings will the PEDS package include? The package will include 10-14 full size drawings depicting the existing conditions/general layout, floorplans of all major structures along with the building’s key section. Who has gone through this process before? Thousands of dairymen who demand quality dairy facilities have utilized the expertise and experience of the Five-G professionals over the past 50 years. Will Five-G have the design expertise for my climate, site and operational parameters? Clients located in hot and cold locations around the world have benefited from Five-G’s experience in all climates with all size facilities. We are confident that we can successfully tackle your hardest dairy problems. In a nutshell, the PEDS is Five-G’s primary design service for new or expanding dairies. 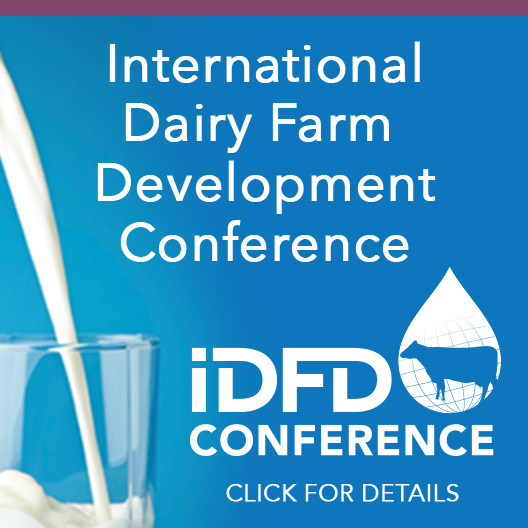 We highly recommend all dairy construction projects start with the PRELIMINARY ENGINEERING DESIGN STUDY (PEDS) to define the scope of the project, establish a Master Plan and define the overall facilities.